Recreational scuba diving has a good track record of safety. That said, there are still a number of scuba diving emergencies that occur each year, many of which can be prevented. As with any activity, being prepared is key. How do we prepare to handle scuba diving emergencies? 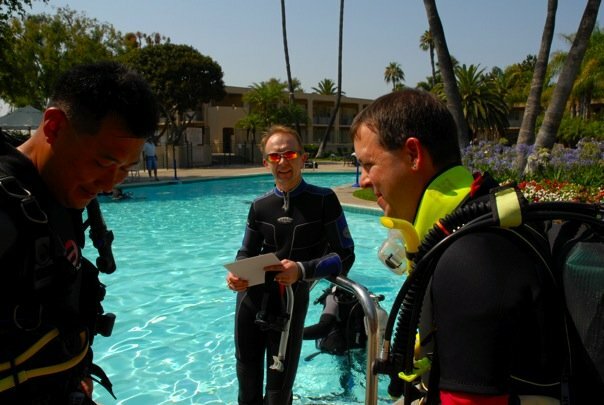 In the Open Water Diver Course, entry level divers are taught how to assemble their equipment, do a pre-dive check with a buddy and to dive with a buddy. The pre-dive check, checking BCD, Weights, Releases, Air and a final check of everything else, can catch a lot of problems. Too much weight, not enough air, etc. Also, in Open Water, entry level divers are taught how to adjust their gear underwater or deal with certain equipment issues underwater. By learning what to do, a bit of extra water in your mask doesn’t become a source of panic. Advancing on in education, through the Adventures in Diving/Advanced Open Water course, divers dive in different environments and practice new skills. In the PADI Rescue Diver Course, divers extend their skills to handle scuba diving emergencies, starting with a review of what they’ve already learned in Open Water and Advanced. The next step is to start paying attention to other divers behavior. Do they appear nervous (talking too much or not at all), unsure of what they’re doing (fumbling with gear), not ready for the dive (inappropriate scuba equipment), etc? Predive safety checks can prevent diving emergencies. So far, that covers prevention and mitigation. How do we respond to problems? Like other emergency care, start with a scene assessment. Are there hazards? Is the diver missing and we need to search, or was the diver found unresponsive? A Rescue Diver builds a tool kit of skills in the PADI Rescue Diver course: assisting from shore or a boat, surfacing an unresponsive diver, attending to an unresponsive, non-breathing diver at the surface, egress. Rescue Divers also learn the basics of emergency management for a scuba diving emergency. This can be managing the scene, working with other responders, organizing logistics for a search & rescue, etc. DAN Dive Medicine for Divers II: barotraumas, decompression illness, practicing how to use an EpiPen and taking blood pressure. DAN Dive Medicine for Divers III: Gas toxicities, drowning, ear barotrauma and using an otoscope. Beyond the response to a scuba diving emergency, Rescue Divers also learn how to help the diver and themselves recover from an incident. 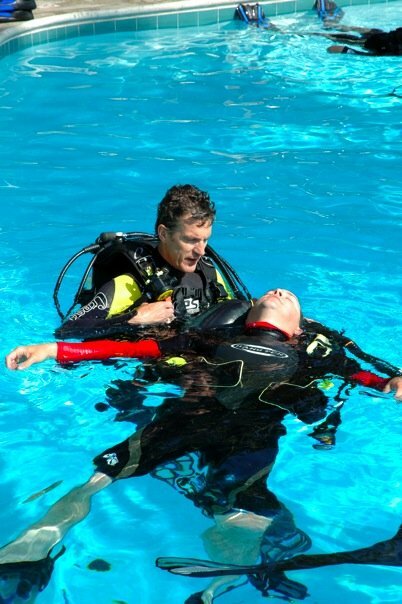 This starts in the response phase: if the injured diver can help with their own care, that gives them a sense of control which will help their recovery. For the Rescue Diver, learning about how to handle their own stress after an incident can help them personally recover. All of these skills are reviewed and practiced at higher levels in diver education. Divemasters and Scuba Instructors need to be able to respond to scuba diving emergencies and manage them. 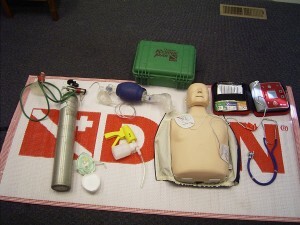 This entry was posted in Dive Safety, Emergency Care. Bookmark the permalink.